You might want to look at the post date, I posted this 3 years ago. 5 hits in 3 years not bad. Topic: how to adjust the vam? Re: how to adjust the vam? I need the flange that I saw someone made and was selling that lets me rotate the elbow that bolts to the turbo coming from the VAM so that the elbow is pointing towards the VAM rather than down and away. Where can I get it? I had my turbo off getting it rebuilt and now have everything all back on. It slipped my mind to use a new turbo to manifold metal gasket is that a big deal or will I want to take it off and replace it? Topic: Turbo coupe intercooler: Big stupid hood scoop? Re: Turbo coupe intercooler: Big stupid hood scoop? Exactly on the getting hot. If anyone has seen the glowing red hot turbo they would kind of go " "Huh" I'll bet that IC never gets cold I don't think there is any amount of air you can run past that turbo coupe IC and have it ever get cold with a turbo as hot as the sun sitting under it. To much work to install it for the return, heat soak water tank and if it leaks good for the strip bad idea and to complex over a Air to Air. There are so many options from Mike at Merkur Depot with his plug and play set up. Stop trying to re invent the wheel go with what is proven. I had made up a set up with a pressure gauge and it worked well and we have some leaks and will be getting them ironed out. 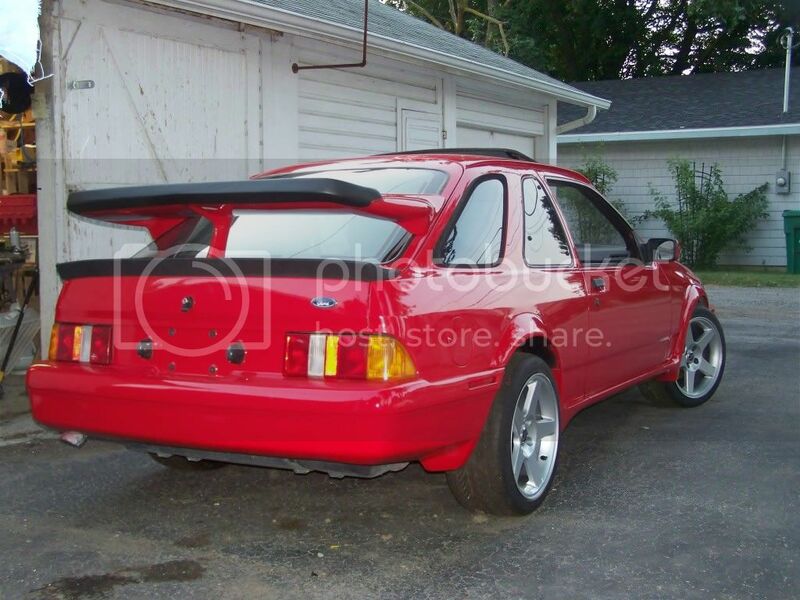 I will also do this on my 89 red car. This is something I would suggest everyone do I was surprised at the leaks. I agree it will bleed past the rings but it will give me some time to find the leaks and should hold the 20 lbs for a while,right? Hmmm I was wanting to get one of those but not sure now. Please post with a solution. What ever happened to this project? ?